It’s becoming almost routine, watching Terence Crawford dominate the top challengers in his division. 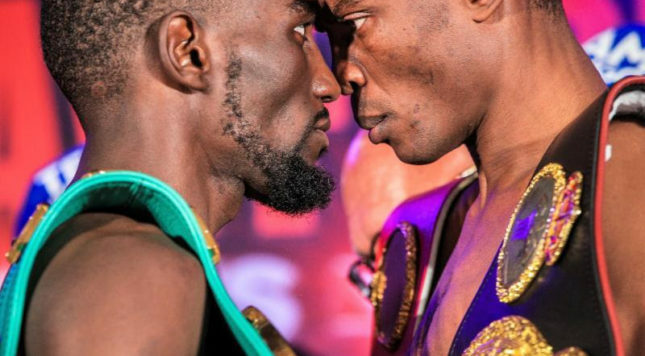 Saturday night on ESPN, he did it in the most thrilling fashion of his career, ending Julius Indongo on a body shot that nearly made Indongo vanish in a twinkle into his own bellybutton like in some psychedelic cartoon. This was the best case scenario for Top Rank Promotions’ recent expeditions on ESPN. The first high-profile fight was a ratings giant because it featured Manny Pacquiao, but it also featured him lose in a bad-look robbery to Jeff Horn. The second was Vasyl Lomachenko, a terrific fighter needing a showcase, getting an easy win against an undeserving foe. None of this said anything particularly good about the sport for an audience not always exposed to it. This? This was the true champion at junior welterweight, one of the best fighters in the world but also relatively unknown outside of the boxing world (save his home state of Nebraska), taking on a worthy opponent and putting on a blazing display of smart boxing and knockout power. The cerebral Crawford started hotter than normal, in part because Indongo came out winging wide power punches at him, giving the counterpuncher openings. Indongo landed a couple quality shots early, but nothing that moved Crawford. In the 2nd, Crawford dropped Indongo with a right behind the ear. In the 3rd, he landed a rocket left hand in Indongo’s midsection, and that’s all she wrote. ESPN made a big deal about this being the first time in a long time that one fight collected all the sanctioning belts. So did writers who are obsessed with making this point for some reason. A reminder, for the millionth time, because it’s a straw man: When anyone says “the belts don’t matter,” they mean, the belts don’t matter to them, and/or as signifiers of any major accomplishment of objective merit. Usually the bare minimum standard for winning a belt is just that it’s something you do when you’ve been fighting for a while, a sanctioning organization wants to collect some fees and your promoter has not offended that organization of late (or perhaps something more insidious, given promoters’ long history of buttering up the belt sanctioning gang). There are some fighters with belts better than those that have them. There are plenty of fighters without belts better than those in possession of them. There is no one denying that belts matter in some sense or the other: The belts matter in the sense that many fighters like having them, and they can sometimes influence which fights are made. If the belts matter in some definitive promotional sense, we’ll see how much better this fight does in the ratings than Pacquiao’s, where only one was on the line compared to Saturday’s four. That Crawford said “belts matter” post-fight somehow meant something to the folk who peddle that line; his saying it was a confirmation of their belief. In the same interview, Crawford hawked his pound-for-pound status, too. But somehow that doesn’t matter to this same group. On that point: Crawford is already one of the three best fighters going regardless of weight, and he might now be one of the best two. He gave a non-answer about who he wants to fight next, but he did say he’d be moving to 147 pounds soon. There are some worthy names at 140, but some of the best are hard to make for promotional reasons. Same thing at 147, to be honest. Whatever his future, he gave us about the best he could give us Saturday night, that’s for sure.